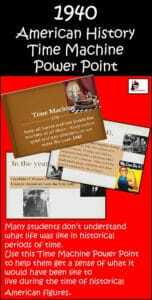 Constitution Day is September 17, so why not celebrate with a Constitution Day Class Book? 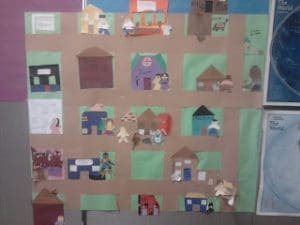 When I taught 2nd grade, I liked to have my kids make a class book as an introduction to the United States Constitution. Schoolhouse Rock is a great way to get the ball rolling. It is so upbeat and has such a catchy tune. I know the Preamble to the Constitution by heart just because of that song! Here are some great books I use to help the kids understand some of the confusing vocabulary in the Preamble to the Constitution. I let the kids use this book to look at the different pictures. 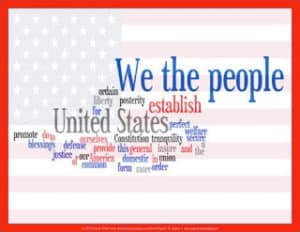 It really helps them get the idea of what the words to the Preamble really mean. It’s an oldie, but a goodie! I read this book to the kids because it takes the words from the Preamble and shows them the role that it plays in their lives NOW. It also has a glossary of terms that is helpful. The students use the books for ideas as they work on their own class book. I sometimes create 2 class books so everyone can make their own individual page. You can also use the blank pages for drawing pictures and/or writing sentences that tell what America means to them. 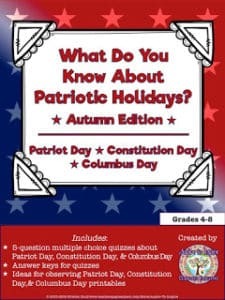 Head on over and pick up your free Constitution Day Class Book for your kiddos! If you are looking for other Constitution Day activities, here are a few you might like!